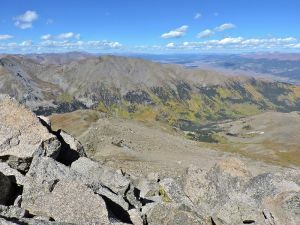 This peak is #28 on the Height List for Colorado .Mount Oxford is located in the Sawatch Range in central Colorado. The standard route is via a trail that climbs up to Elkhead Pass south of the summit. From here, the southeast ridge offers an easy summit route.